When Bollywood meets jazz and falls in love, the result is who we know as 'Pyar and Piano'; a highly talented pianist who will create that romantic ambience at your wedding reception in a truly magical way. Bollywood music, when done right can be truly beautiful which is why many South Asians choose Bollywood slow jams to be the main background music playing on their wedding day. However, when you strip Bollywood music back to just the basic sounds, it can be hauntingly stunning which is exactly what the Bollywood pianist offered through Kudos Music does; giving your event an added special something that will have people talking for days. Taking Jazz music and mixing it together with mellow Bollywood vibes, our pianist who goes by the name of �Pyar and Piano' uses his love for piano playing to bring smiles to the faces and the hearts of the people. Highly-talented, well experienced and very professional, our Bollywood pianist has provided his piano playing services at many South Asian and English weddings alike, for bride and groom entrances and general background music to add ambience to the occasion. He can play a number of different songs, from romantic and classic Bollywood numbers to modern and more upscale songs adding whatever twist you want to your wedding reception or event. Aswell as Bollywood, our pianist is trained in English ballads and jazz ballads too, so if you are looking to mix things up a little, we can certainly arrange this for you. 'Pyar and Piano' is perfect for intimate affairs and occasions ensuring that the romantic, classy atmosphere you want to create on your wedding day or other event is certainly so. 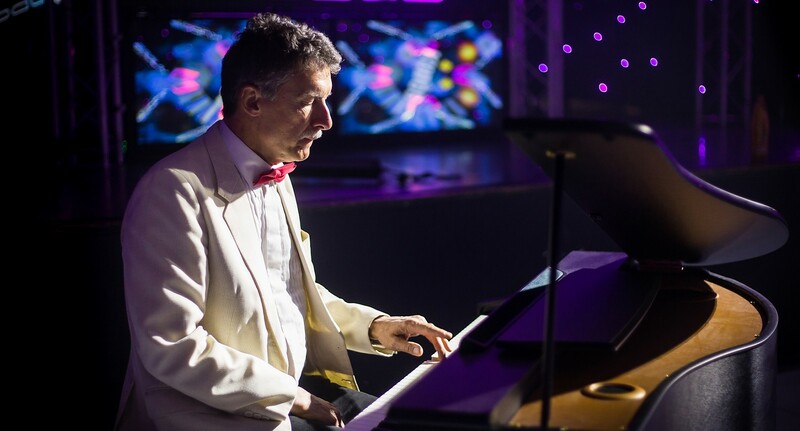 Our pianist can also get interactive with the guests at your event, taking requests where possible and making sure that everyone around is in awe of his fantastic talent. He will do his job while completing yours at the same time; guaranteeing that everyone around on the day is enjoying themselves. Although there is nothing wrong with a DJ, Bollywood piano playing is definitely something different in comparison to the typical old South Asian weddings that usually do have a DJ. If you want the calm and mellow, and the fun and loud, you could book both DJ and Bollywood pianist through Kudos Music with the pianist beginning the event beautifully and the DJ finishing it off with a bang. Get in touch with Kudos Music today to see what we can arrange for you. With jazz, Bollywood and a piano however, you just can't go wrong. Why not book a Kudos Bollywood Pianist for your wedding or event today! Contact the sales team to see how we can find the perfect entertainment for you.